At Matthews Construction and Design, our unwavering dedication to quality craftsmanship is matched by a pledge to make the remodeling process simple and problem-free for our customers. With over four decades of experience guiding our hands, we strive for 100% customer satisfaction on every project. 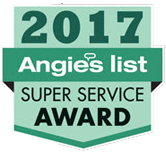 Customers throughout Washington, D.C. and Montgomery County, Maryland have rewarded us with an A rating on Angie’s List. Owner Brian Matthews combines the practical knowledge of a master craftsman with the creative design sense of an artist. During construction, you’ll receive consistent communication directly from the owner. Whatever improvement you can imagine for your home, we can make it a reality. Upgrade the most popular room in your house to the dream kitchen you’ve always wanted. Cabinet replacement, flooring, and complete remodeling. From luxurious master bath suites to a warm, inviting powder room, we can transform a bathroom into a relaxing escape. Designing the perfect outdoor space for you and your family. Hardscapes, fireplaces, Koi ponds, outdoor kitchens and more. The details are what distinguishes the finest homes. From crown molding to custom built-in bookcases, we deliver quality.